D-Link is “trying to recapture the high end of the market in terms of performance,” VP of marketing Dan Kelley told me in an embargoed interview last month. 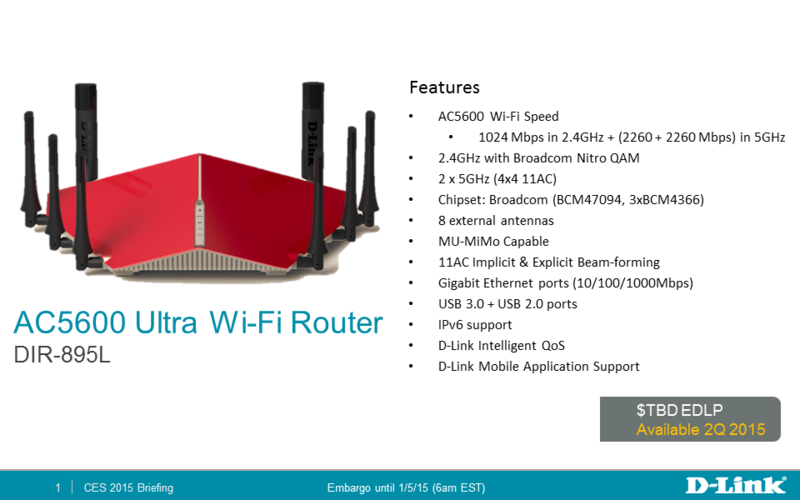 I haven’t been able to test D-Link’s new Ultra Performance series of 802.11ac Wi-Fi routers and adapters, but their radical industrial designs are sure to turn heads. D-Link is showing three new routers at CES this week—the D-Link DIR-895L/R, the DIR-890L/R, and the DIR-885L/R—along with the spherical DWA-192/R USB 3.0 Wi-Fi adapter. The company is also pushing the price envelope, asking enthusiasts to cough up $310 for the model in the middle of the new range. It should be available for purchase now. D-Link says the rest of the lineup will be available in the second quarter, but it has not released pricing guidance on the other new routers or the Wi-Fi adapter. D-Link’s new DIR-885L/R 802.11ac Wi-Fi router is in the center. The flagship DIR-895L/R is on the left and the DIR-890L is on the right. The flagship DIR-895L/R is based on Broadcom’s BCM47094 chipset and can operate two independent networks on the 5GHz frequency band (with theoretical TCP throughput to 802.11ac clients of 2165Mbps on each), and a third network on the 2.4GHz band with theoretical TCP throughput of 1000Mbps. It will be outfitted with eight high-power antennas, and it supports MU-MIMO (multiple users-multiple input/multiple output) technology so that it can stream high-definition video and audio to multiple clients. D-Link’s DIR-895R/L boasts very high specifications, and will likely have a price tag to match when it ships in the second quarter. All three of the new routers will feature an all-new user interface that should make it easier to set up and manage your router and network using only a smartphone or tablet—good news for consumers who don’t have a Mac or PC. And all three will support beam forming, D-Link’s QoS engine, and SharePort technology for sharing a USB printer and a USB storage device on the network. 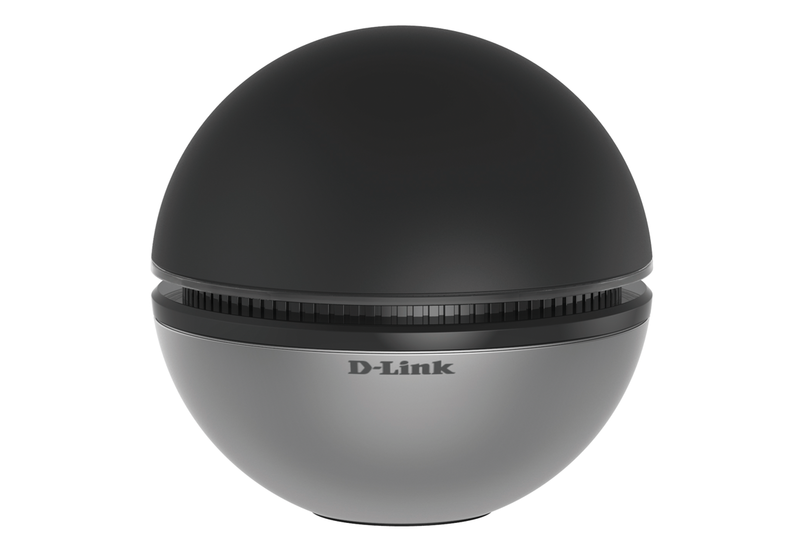 D-Link’s DWA-192 802.11ac Wi-Fi adapter is shaped like a ball. D-Link describes its D-Link DWA-192/R as an AC1900 Wi-Fi adapter, but arrives at that label by summing its maximum throughput of 1300Mbps on the 5GHz frequency band with its max throughput of 600Mbps on the 2.4GHz band. As an AC adapter, it has the same specification as the Asus USB-AC56 adapter (although that part supports maximum throughput of only 300Mbps on the 2.4GHz band). I suspect the DWA-192/R’s spherical design will render the adapter more omnidirectional, but I’ll have to wait until I can test one. D-Link expects it to ship in the second quarter, but hasn’t announced pricing. Today D-Link announced it is shipping the mydlink® Network Video Recorder with HDMI Output (D-Link DNR-312L). Designed with small business owners in mind, the DNR-312L NVR is simple to set up and operate and allows users to keep a close eye on their businesses locally with a mouse and HD monitor, or remotely with a phone, tablet or PC. Users can customize the ideal security solution by mixing and matching up to nine D-Link® network cameras, and can view, record and play back footage from all nine cameras simultaneously. With plug and play configuration, the DNR-312L automatically finds and records video and audio from D-Link network cameras and can be set to record continuously, on a schedule or based on motion. Its single storage bay accepts a hard drive up to 6TB in size, providing a recording retention period of 30 days or longer. A scheduled back-up function allows one or more camera recordings to be backed up to a USB drive, network storage or an FTP server. A variety of viewing options exist for the DNR-312L, including web browser, mobile app and the native HDMI port. The graphic user interface look, feel and functionality of the HDMI output is closely matched by the web browser interface for a consistent user experience. Functions include camera search, e-map support and on screen display of date, time, camera name, frame rate, and bandwidth. Additionally, the DNR-312L supports two independent streaming profiles from D-Link network cameras. One stream is high resolution to capture the important details. The second stream is lower resolution and is used for the nine-camera view and for mobile app use. Both streams are simultaneously recorded and available for playback. The DNR-312L is available now for a manufacturer’s suggested price of $349.99. D-Link is also offering a special promotion through Dec. 31, 2014 – for more information, visit programs.dlink.com/FreeNVRpromotion. 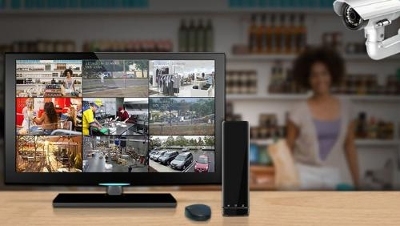 D-Link’s Network Video Recorders and IP surveillance cameras are sold through D-Link’s vast network of channel partners, including value-added resellers, solution providers and distributors. 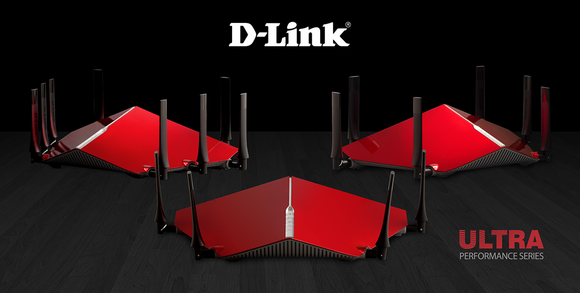 For more information about the DNR-312L, visit us.dlink.com/dnr-312l. For more information about all of D-Link’s IP surveillance solutions for business, visit ipsurveillance.dlink.com. FOUNTAIN VALLEY, Calif., Sept. 29, 2014 /PRNewswire/ — D-Link today announced two new unmanaged, rack-mountable, 10/100 PoE switches – the 8-port DES-1008P+ and the 16-port DES-1018MP. Both products are designed for demanding applications that require full PoE power (15.4 Watts) on all ports simultaneously, such as surveillance networks with power-hungry IP cameras, or wireless network infrastructures powering 802.11ac access points. The DES-1008P+ features eight 10/100 Mbps Fast Ethernet PoE+ ports, all of which support IEEE 802.3at (30W). With a total PoE power budget of 140 Watts, this switch can comfortably handle 15.4 Watts of PoE on all eight ports simultaneously, with extra power to spare. Its fanless design ensures quiet operation in all environments. The DES-1018MP features 16 10/100 Mbps Fast Ethernet ports supporting IEEE 802.3af (15.4 Watts). Its 246.4 Watt power budget allows all 16 ports to drive 802.3af devices simultaneously, without concern of going over budget limits. The DES-1018MP also offers two Gigabit SFP/RJ45 combo uplink ports, which provide plenty of bandwidth back to the core of the network. A smart fan automatically adjusts itself to reduce power consumption and noise, and enhanced surge protection on all PoE ports protects the switch when feeding power to outdoor PoE devices. Both models come in rugged metal housings that can be desktop or rack mounted, and both utilize an internal 100 – 240 VAC power supply. Like all D-Link® business class Ethernet switches, the DES-1008P+ and DES-1018MP offer a Limited Lifetime Warranty, furthering D-Link’s commitment to product quality and long-term customer confidence. The new DES-1008P+ and DES-1018MP unmanaged 10/100 PoE switches are currently shipping through D-Link’s vast network of channel partners, including value-added resellers and distributors and online retailers. Detailed specifications are available online at www.dlink.com.